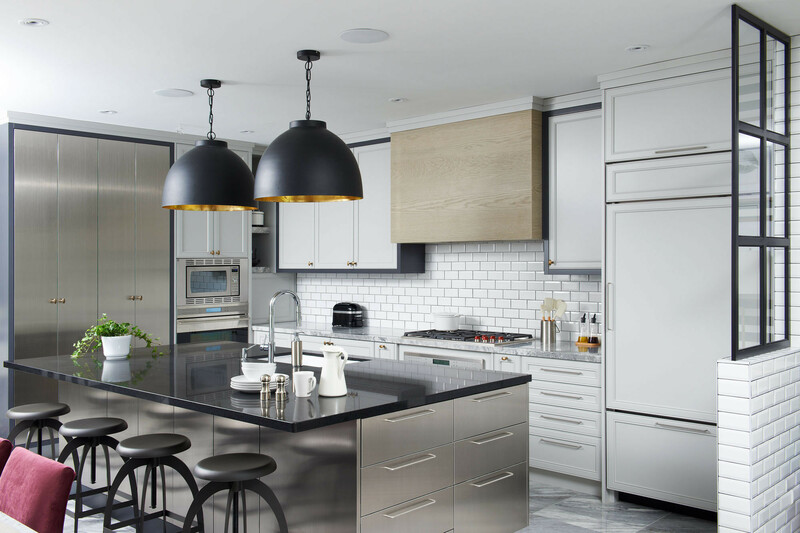 Designer Stacey Cohen installed functional stainless-steel cabinetry in the kitchen of a gut-renovated three-bedroom home in Toronto. Photography by Kevin Sparkman. Modern interiors get a bad rap. With their sleek lines, streamlined furnishings, and minimalist leanings, they don’t lack for elegance. 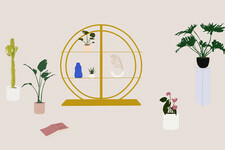 Yet those arguably desirable qualities are often the same characteristics that also lead people to think of such spaces as cold and uninviting. 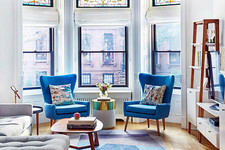 That is decidedly not the case in one married couple’s downtown Toronto townhouse—a property that balances style and warmth to dazzling effect. 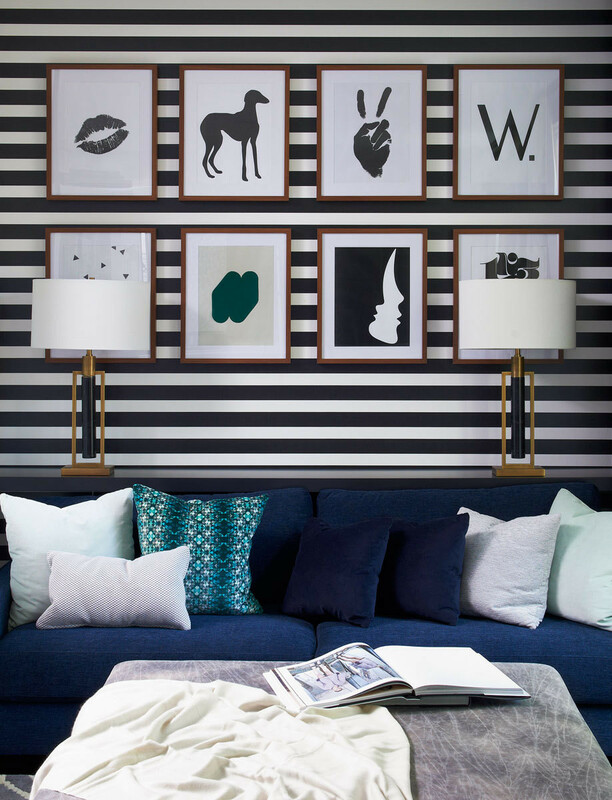 Horizontal-striped wallpaper adds depth and dimension when paired with a velvet sofa in the den. 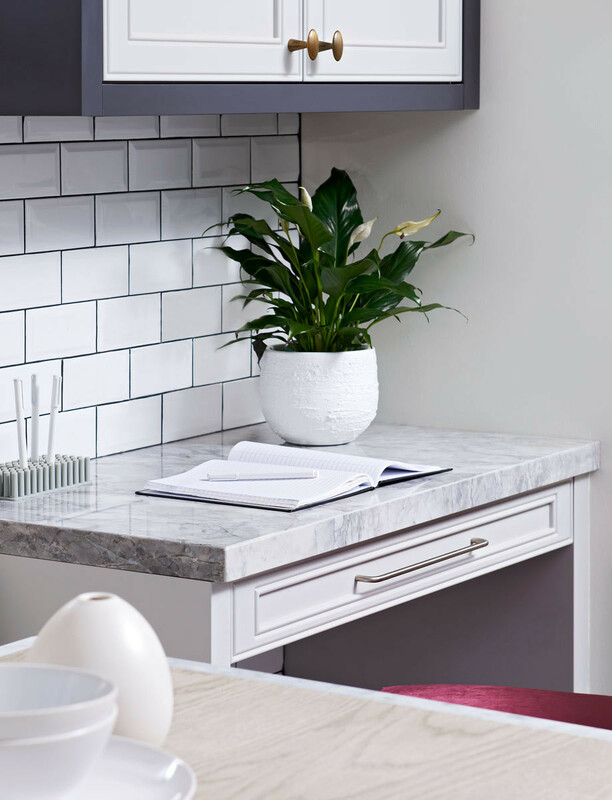 Topped with a marble-like porcelain, a petite workstation makes maximum use of a tight space in the kitchen. “Our clients had recently been to the London hotel in Los Angeles and particularly loved the floor border detail in the lobby,” says Canadian designer Stacey Cohen, who gutted the dated three-bedroom home to create an airy open-floor layout that’s more conducive to modern life. “A lot of their inspiration came from high-end contemporary hotels.” To achieve the aesthetic, Cohen tore up the floors throughout the space, replacing worn wood with sleek marble-like porcelain. 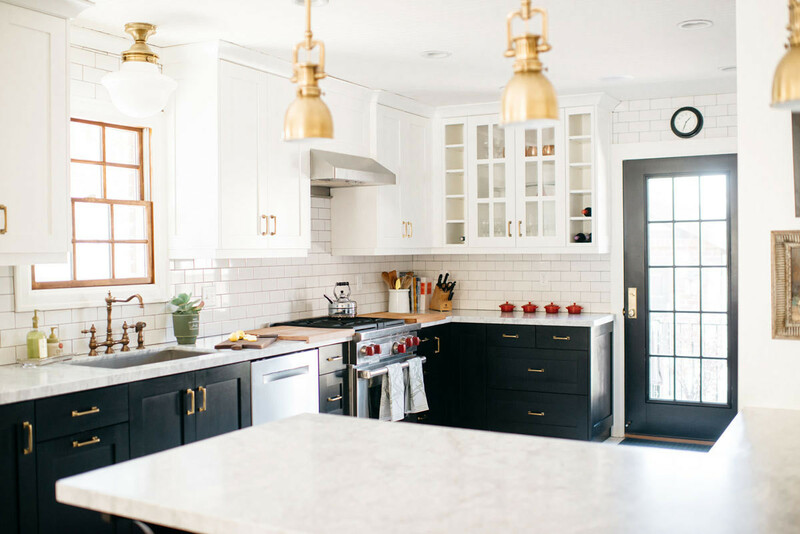 She also reconfigured the kitchen, removing walls and adding a stainless-steel island, flush-mount cabinetry, and subway tile to elevate the space with a seamless look. “The goal was to create a design that is consistent and flows effortlessly,” says Cohen. Cohen maintained the original crown molding throughout the home to lend a sense of character. A West Elm console table creates a geometric focal point in the entry. Elegant black marble surrounds an enclosed fireplace in the living room. 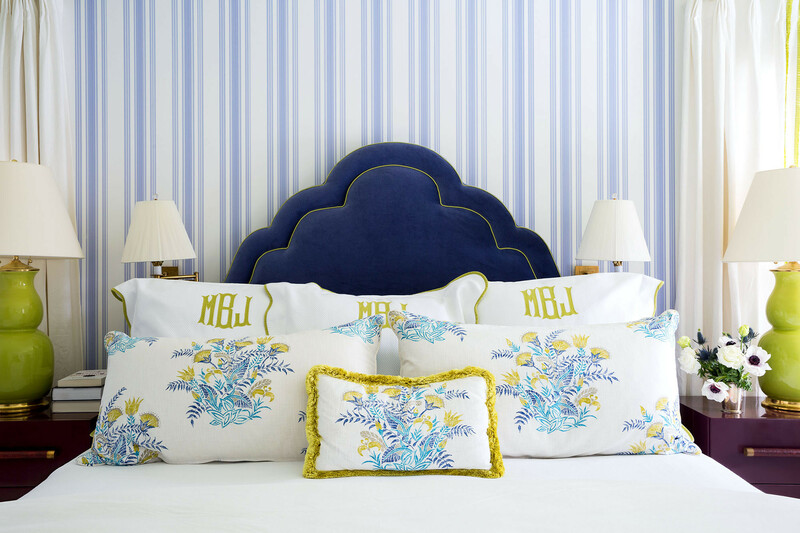 Jab Anstoetz's Splendid Stripes fabric pops in the master bedroom. That sense of functionality led the designer to think creatively in a number of conjoined spaces. To compensate for the home’s lack of a formal dining room, Cohen transformed the breakfast nook into a mixed-use gathering spot by installing banquette seating and a custom table made with Carrara marble and wood-imitating porcelain inlay—a hybrid casual-yet-elegant element that considers form and function in equal measures. That sense of continuity continues throughout the rest of the home, where built-in storage systems, from bookshelves in the living room to a walk-in closet in the master bedroom, maximize space without contributing bulk. Luxurious textiles such as faux fur and velvet add warmth and texture in the master bedroom. 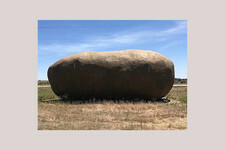 While the space is in many ways a representation of modern ingenuity, classic showpieces have their place. Throughout, Cohen opted to preserve the structure’s intricate pre-existing crown molding. “We wanted to maintain some of the original character,” the designer says. 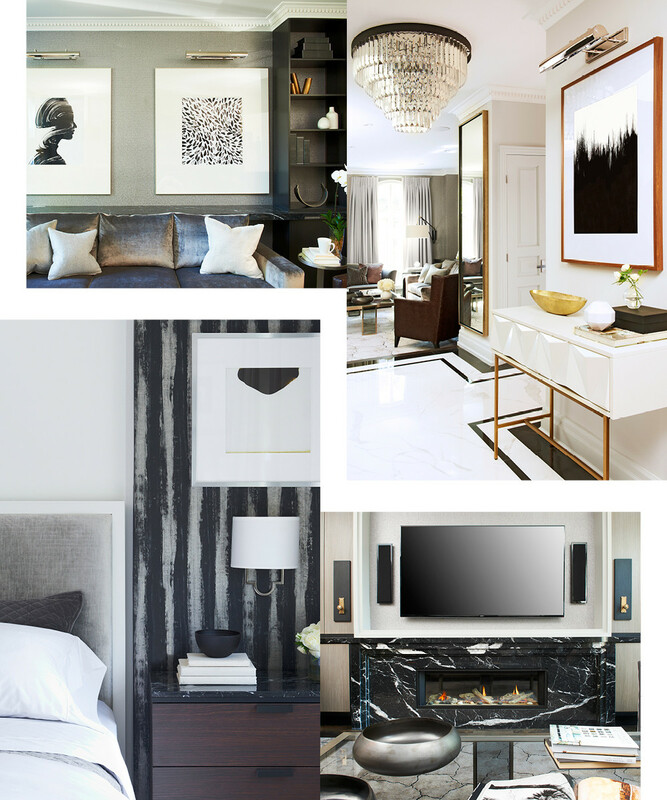 In the living room, a chic, richly veined slab of black marble around the fireplace steals the spotlight. And everywhere velvet and faux-fur textiles lend warmth. The combination of contemporary and classic flourishes results in a home that is at once modern and timeless, but most importantly, well lived-in. Cohen lined a spacious peekaboo shower stall with Carrara marble. The designer applied a textured vinyl wall covering to the rest of the space, including a compact vanity area. Flush-mount cabinetry creates a look of seamlessness. The master bedroom's walk-in closet doubles as a cozy dressing area. Celerie Kemble creates a stunning retreat filled with soothing prints and timeless style. A globetrotting family puts their urban existence out to pasture and starts a new life in their Martha's Vineyard home.